LOS ANGELES -- Tarantulas are out looking for love, and hikers in Southern California's Santa Monica Mountains are warned to watch out for the hairy spiders. That means the giant arachnids will spend the next two months weaving webs just above ground, outside the female's burrow, the Los Angeles Times reported. 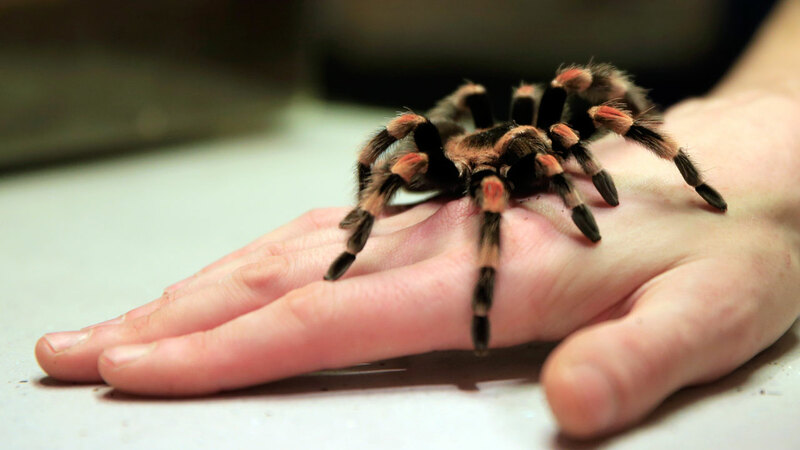 Because females typically stay inside, if a hiker comes across a tarantula on a footpath, it's probably a male on the lookout for a mate, experts say. Males have been known to search for up to four miles to find a female. Though they have fangs and carry poison, tarantulas are not considered a serious threat to humans. The spiders move slowly so hikers can take pictures, but humans shouldn't touch or otherwise harass the creatures, said Kate Kuykendall, a spokeswoman for the Santa Monica Mountains. While female tarantulas can live for up to 25 years, the average lifespan of the male is only seven or eight years, so their annual chances to spread their genes is limited. To make matters worse, female tarantulas have been known to eat the males if they linger too long after copulation, the Times said. According to the park service, mating occurs when the male approaches the female's burrow and taps on the web strands outside the entrance. If the female is willing, she'll come outside and receive his sperm, which he deposits on a web that she then receives and uses to fertilize her eggs.